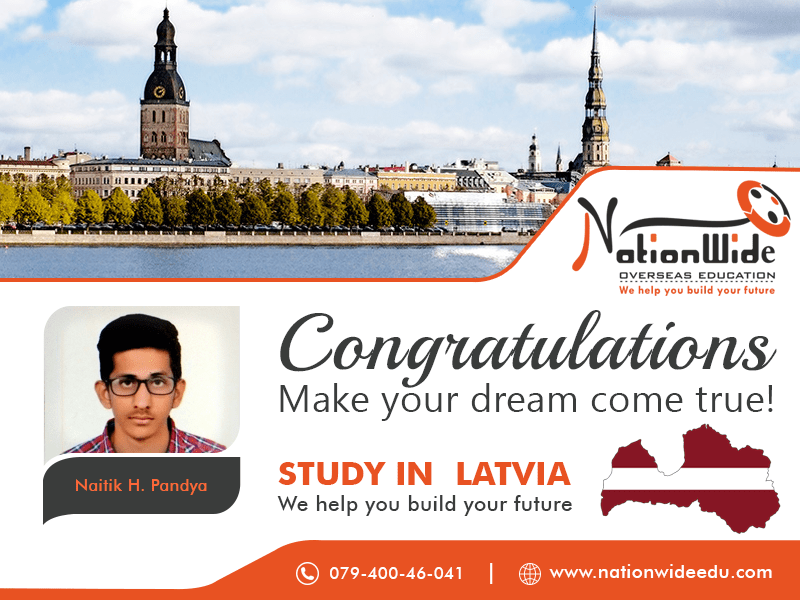 Heartiest congratulations to Naitik Harshadkumar Pandya for his successful visa approval of Latvia. He was very ambitious about overseas education. Like many of our students, he also has been able to secure his Student visa for Latvia. We wish that he keep evolving at every stage and get more success in life. You can also get successful visa approval with the guidance of our experts.